Titus Information Systems has been in business developing both software packages and custom software since 1979, and I have been on the staff since 1980. Currently, I am the President and sole employee, working primarily as a contract programmer for several companies both in the Phoenix area and nation-wide. A reference list is available. Titus Information Systems writes primarily business applications that incorporate information storage, maintenance, retrieval, and report generation. The company has extensive experience working with COBOL compilers on IBM mainframes with the JCL language, Prime mini-computers, and DEC VAX mini-computers. Some software currently being developed is for Personal Computers using the MicroFocus NetExpress COBOL compiler with the Dialog System screen painter. One customer has a hospital patient database with more than 30 million records; when they have something their 4GL package (PowerBuilder) takes too long to accomplish, they ask me to write it in COBOL to cut the run time from days to hours. In addition, Titus Information Systems has created a number of utilities for string manipulation, terminal emulation, custom network control, screen display, report printing, and printer drivers. Another customer had old Aydin color monitors, which are no longer available. 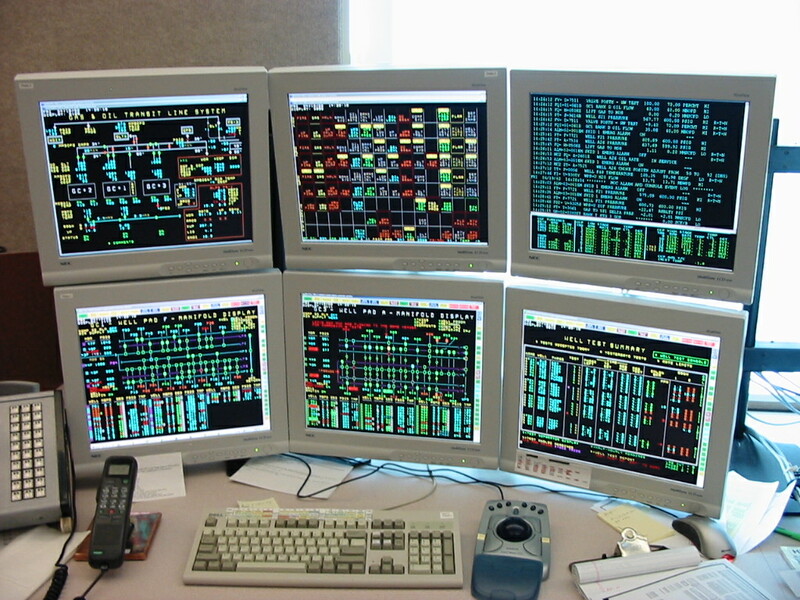 A terminal emulation package for Windows NT has replaced these aging monitors. This package communicates with the hardware using TCP/IP with Windows Sockets. It is written entirely in Microsoft Visual C++ with MFC and required extensive work with Macromedia's Fontographer to duplicate the graphical characters inherent in the Aydin Display Generator. Titus Information Systems has also done substantial work mixing programming languages to accommodate the most efficient solution possible. Another customer has a contact management software package which doesn't interface well enough with Microsoft WORD and other office automation software. A custom interface program solves these problems. It is written in COBOL, which accesses the contact management database using BTRIEVE (now called Pervasive.SQL), and Microsoft Visual C++, which handles the user interface using standard windows graphics and the interface to Microsoft WORD, Microsoft EXCEL, and Pegasus Mail. While using it extensively himself, the customer is also currently attempting to market this enhancement. With high speed internet connection and Windows-compatible VPN software, including Remote Terminal Services, it is possible to download and upload software, data, and text from virtually any personal computer desktop or server around the world. Titus Information Systems is able to develop and test software in the home office and ship it to a customer's location for implementation and final testing. Titus Information Systems normally charges $100.00 per hour plus expenses for software development, but stand-alone utilities or complete custom packages may be developed on a quotation basis. The philosophy at Titus Information Systems is that a computer system can be an effective administrative tool only when efficient, flexible software is running on the appropriate hardware, being used by well-trained people, and supported by competent, knowledgeable personnel who can give the correct answers the first time. Titus Information Systems wants to become your computer software company. If you have questions, please don't hesitate to contact us. Thank you in advance for your consideration.